Everyone knows that growing up is hard, and life is no easier for high school junior Nadine (Hailee Steinfeld), who is already at peak awkwardness when her all-star older brother Darian (Blake Jenner) starts dating her best friend Krista (Haley Lu Richardson). 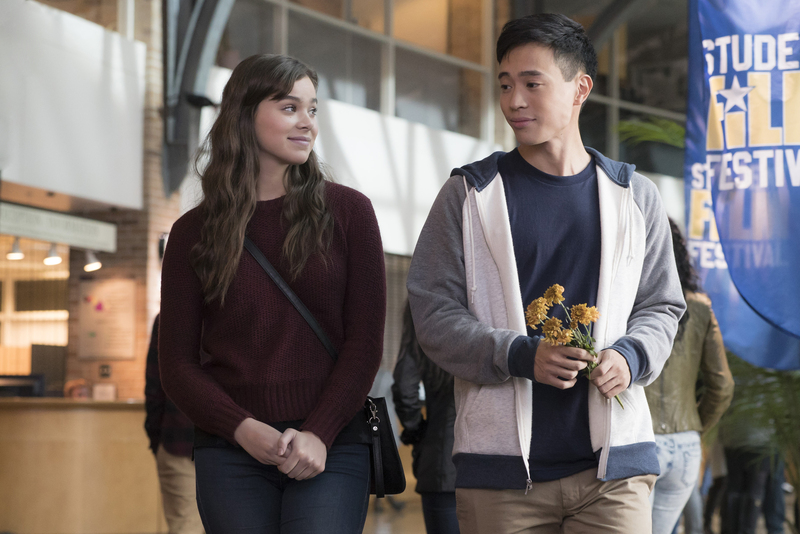 All at once, Nadine feels more alone than ever, until an unexpected friendship with a thoughtful teen (Hayden Szeto) gives her a glimmer of hope that things just might not be so terrible after all. Edge of Seventeen or as it could really be called corny white girl: the movie, is a fresh new feeling film. While it lends itself to the ideology of other typical teen and coming of age comedies, there is no denying the unique feel that comes along with it. Hailee Steinfeld is thoroughly entertaining in her first major role. Edge of Seventeen is a striking modern age adaptation of a John Hughes film. If you are an 80s child or if you enjoy Hughes’ films you may find enjoyment from the aspects that are relatable to films like Sixteen Candles. The characters are actually well developed, and it is easy to be attached and experience their emotions. While the story is entertaining it drops off in some spots and feels empty. These lapses last only for a bit and the script picks back up where it left off. While The Edge of Seventeen manages to be better than the average teen coming of age comedy, it lacks anything that would create enduring legacy.